Greater Richmond Association of Malayalees recognize these individuals for their outstanding achievements in various areas. Nia, daughter of Shanima & Nabeel Mattara, has been assessed as the winner of the Better Future Fund Award for the year 2019. 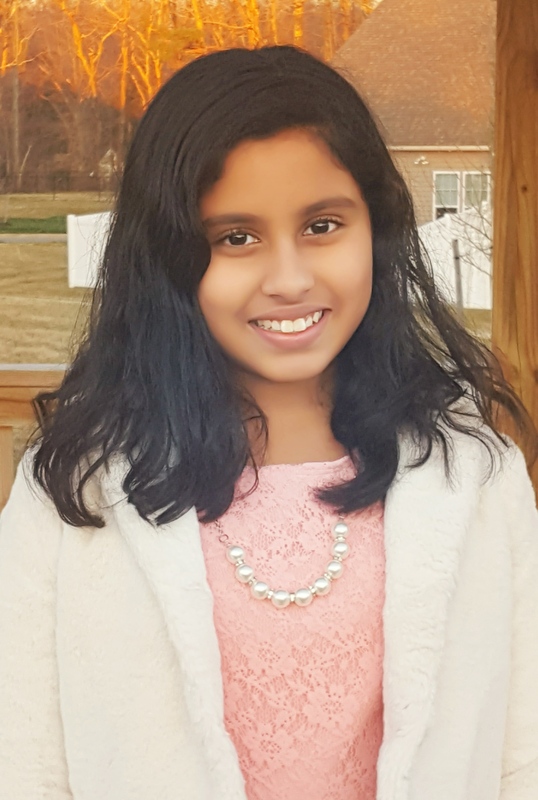 She is a 5th grader at Washington Henry Elementary School, Mechanicsville, VA. The Better Future Fund Award is an annual event powered by Virginia529 and recognizes the best English essay written by 5th graders from each of the 5 regions of Virginia. Nia has been identified as the winner from Central Virginia region for her essay on 'How will you better your community by attending a college, university or training program? '. She wins a scholarship amount of $3000 for herself and her school. She will also be recognized on stage and TV as part of NASCAR 2019 in Richmond International Raceway before the main event.